Michael Steinberg, founder of All Sports Digital Media, is a director of photography and videography, who began his entertainment (or video production) career as an intern at 30 Rockefeller Center for Last Call with Carson Daly, then moved to Los Angeles and worked as a lead production assistant on various reality TV shows for MTV and VH1. His passion for the industry then took him back to Manhattan where he worked as a production coordinator for IMG Media overseeing remote video content for CBSSports.com, and covering the glitz and glamour of the runway at Mercedes-Benz fashion week. 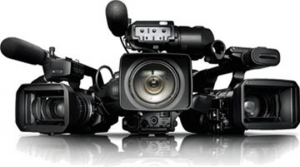 By working his way up through the ranks of the video production world, Michael is well versed and experienced in all aspects of video production. He has worked closely with A-List celebrities, high profile professional athletes, as well as covered numerous Olympic games, World Cups, and Super Bowls. 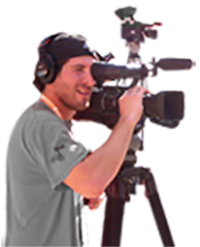 Michael thrives under pressure situations, is extremely knowledgeable and passionate about video production, and is always eager to learn more about his craft. PRE-PRODUCTION – We do our due diligence in preparation and undertake all tasks that are needed to ensure a smooth production, which include meeting with the client, scheduling, storyboarding, location planning, and putting together our highly skilled production crew. PRODUCTION – On location, this is where our highly skilled production team and camera crew make the compelling content happen. From our Producers and Director of Photography to our Gaffers and Production Assistants, we work in unison to bring your creative vision to the screen. POST-PRODUCTION – Our team of talented editors and post- producers put it all together; assembling the video, audio and graphics; Compiling into a finished product that exceeds your expectations.